DoubleRay wrote: Sutton's reserve keeper. Let's hope Posh aren't thinking of signing him. Why ever not, apparently he's groundsman, general dogsbody and wouldn't cost a kings ransom. Apparently in the Southampton youth squad he played up front alongside Alan Shearer. bristleposh wrote: Why ever not, apparently he's groundsman, general dogsbody and wouldn't cost a kings ransom. Apparently in the Southampton youth squad he played up front alongside Alan Shearer. What, with Bazza, Junior and him, there would be a fight for the pies. 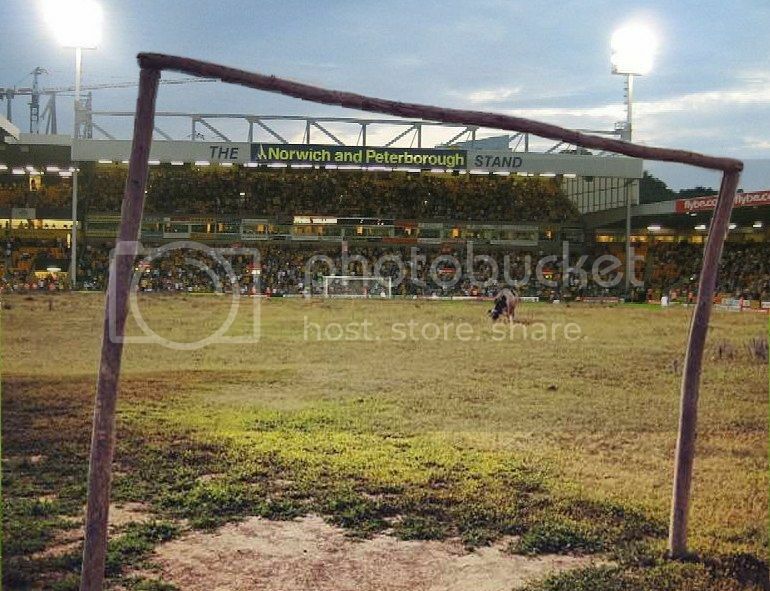 Norwich City fans are becoming increasingly alarmed by the state of the Carrow Road pitch. Club chairman Ed Balls slashed budgets following the club’s relegation from the Premier League, and the ground staff were first to feel the pinch. Watch closely at 11 seconds in! I watched the whole 2 odd minutes. It's correct. He did nowt! If only they paid me like that for (not) playing the cello!!! oooops Seems he was injured and just making the numbers up as they'd used all their subs. 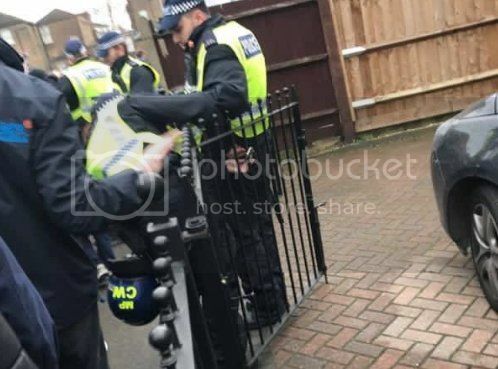 A Millwall fan managed to handcuff a policeman to a gate today.